This Course Will Show You, In Great Detail, All The Ways To Start Your Own Coaching Business, The Tools And Mindset You’ll Need, And How To Promote Everything Too! …and a percentage of the population, usually the higher income brackets, use personal coaches for everything from gaining self-confidence to learning to play tennis – and a study by the Chartered Institute of Personal Development found that more than 90% of organizations have used coaches in some capacity in the past and 70% were planning on continuing or even increasing their coaching within the company. Coaches can be people who have had enough successes in their lives, in a particular field, that they feel they are qualified to coach others. Sometimes, coaches are educated or certified in a particular area, but most of the time they’re just ordinary people passing on their own life experience. With so much information on the web and not knowing who to turn to about learning how to start your own coaching business, it’s no wonder some people are just plain stuck. Thankfully, I’ve created a course detailing exactly how to start your own coaching business. 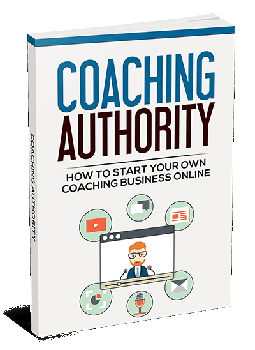 Coaching Authority How To Start Your Own Coaching Business! What coaching is, and what topics you can coach people in: This course is intended to define for you the job of coaching people and help you decide what sort of topics you want to specialise in so that you can best help your clients. Some people prefer to be “life coaches” without specialising, and the course has a great deal of information on that as well. An overview of all of the different methods you can use to coach people and some advice to get you started in each one: There are so many methods out there to coach people, from using the internet, telephone or even the old fashioned face-to-face method. You’ll familiarise yourself with all of the methods out there so that you choose the best ones for your coaching practice. How to choose a coaching style and how to incorporate multiple styles to build the perfect coaching practice: This course will describe the different coaching styles that are out there such as email, one-on-one coaching and group coaching, and go through the advantages and the disadvantages of each one. That way, you can decide which styles you are most comfortable with and how you can use them best to help your clients. How to use the internet to maximise the amount of money that you make while minimising the amount of time that you put in: You might be getting into the coaching industry to help people, but odds are, you want to make money doing it, and hopefully at least enough to make a comfortable living from, if not more. This course will help you to maximise your income and develop multiple income streams as well as help you reduce the amount of time that you actually have to work so that you can spend more leisure time doing things you enjoy or hanging out with your family. How to make coaching work synergistically with other self-help projects you have: This section of the course will explain how you can make your coaching boost your other income streams and then turn around and make those streams boost your coaching right back. You’ll understand what sort of streams are out there and how you can use them to promote the other products and services that you have. Information on how much coaches actually make and how much you can expect to earn from being a coach: This is the money section of this course where you will learn just what coaches are making these days and where coaching salaries might be tomorrow. You’ll also learn how to price yourself so that you can still compete in the market without devaluing yourself or your services, to help you make as much money as you can with coaching. How to do life coaching on the internet: This module will detail how you do life coaching on the internet including what sort of things a life coach helps with. It will give you the tools to be the most effective life coach that you can be and help your clients with all of the different aspects of their lives. Video #1: Have You Got What it Takes To Be A Coach? you can watch and replay again and again at any time! It is like a summary of the entire course but in actionable, bite-sized points so that you can successfully get through the course. A quick glance over this mindmap and you’ll get an instant refresher of all the major points and action steps from the course. 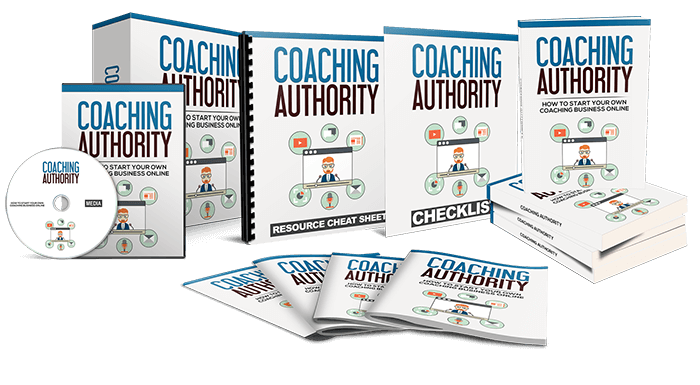 You can own Coaching Authority together with all the bonuses for a mere $67.00. Did I mention this course is only $67.00? It’s definitely a point worth repeating. You will be hard-pressed to find a more valuable resource. I’m delighted to have the chance to share this powerful course with you, and I know you’ll be very happy with the results. Again, you will receive the comprehensive and valuable insights you need to finally achieve results for only $67. 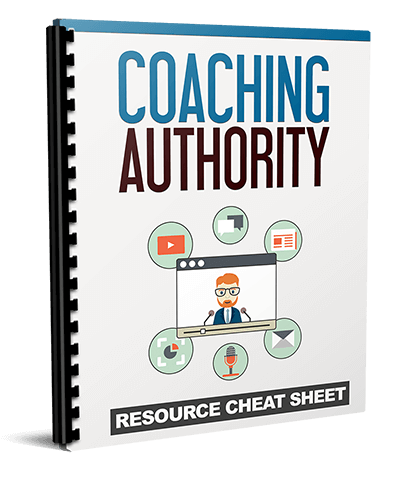 Note: the Coaching Authority is a digital product. After your payment you gain immediate access. P.S. 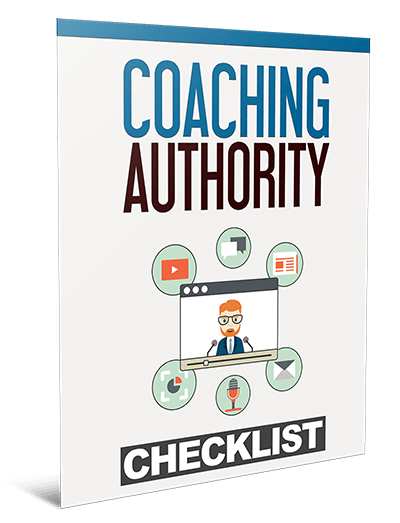 – This is the ultimate and essential course for starting your own coaching business! You’ll discover all the steps, tools and resources to help you finally succeed! Click the Add to Cart button to get instant access today!